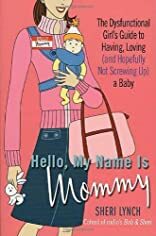 Hilarious and true and inspirational, Hello, My Name is Mommy is for every pregnant woman and new mother who ever felt helpless and out of control instead of confident and aglow. 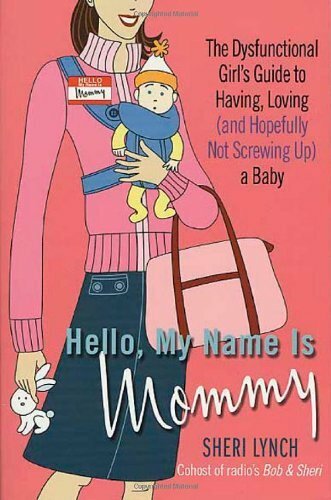 Sure, women know pregnancy is no bed of roses, but Lynch taps into her own dysfunctional childhood and fears about becoming a mom to label a much profounder worry many moms-to-be have: that their own pasts were so screwed up that they're doomed to repeat the cycle. Dr. Spock may tell moms to trust their instincts, but Lynch's Misfit Mommies want to do every last thing but that. They feel like frauds and imposters, and Lynch's real-girl's voice will be instantly recognizable to them. Lynch will walk and talk new moms through it all: from lamenting the hot dogs and second-hand smoke they were raised on (and, of course, "you turned out just fine") to the realization that kids are kind of germy and gross (but feeling that way doesn't make one a bad mother) to keeping it together at work with Cheerios in the old nursing bra.